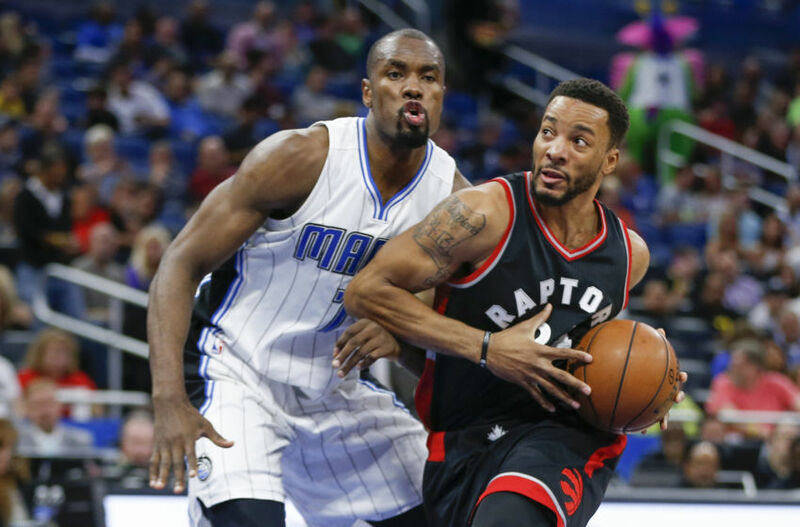 The Orlando Magic are at a crossroads in their development and need to decide what to do with Serge Ibaka. Here is why they should trade him. As the trade deadline edges closer and the Orlando Magic continue to lose games, one piece of business looms above all others. That is what exactly the team should do with forward Serge Ibaka, the best player this team has had since Dwight Howard, as this season hasn’t gone to plan for player or team. Although the Magic are still but one run of games away from getting back into the playoffs, at 20-36 that does not appear likely. That they have not had a 30-win season since Howard skipped town back in 2012 is equally alarming. So, with Ibaka about to become an unrestricted free agent this summer and the trade deadline coming Feb. 23, a decision needs to be made on his future. It would be best for the Magic however, if they moved the player and continued on their own path to relevance. Here is why. Ibaka spoke about wanting a bigger role with the Oklahoma City Thunder and he got just that when he was sent to Orlando. That the Magic parted with second overall pick Victor Oladipo and the rights to Domantas Sabonis was testament to what they thought he could provide for this team. With the roster being a random mix of unproven young players and solid, if unspectacular, veterans, the stage really did look set for Ibaka to prove he could lead a team. While statistically that may be the case in some areas, he hasn’t taken this opportunity by the scruff of the neck like many had hoped. This despite being 27 years old and in theory entering his prime. Perhaps playing without Kevin Durant and Russell Westbrook wasn’t as fun as he thought it would be? In any event, while he’s had his moments for the team, he has just not inspired confidence that he can be a franchise player worth building around for this team’s future. His Player Efficiency Rating of 17.3 is the fourth-lowest mark of his career and lags behind the 19.6 he posted three seasons ago. Playing 30 minutes a game, while not his decision, shows us that head coach Frank Vogel is reluctant to let him loose on any given night. 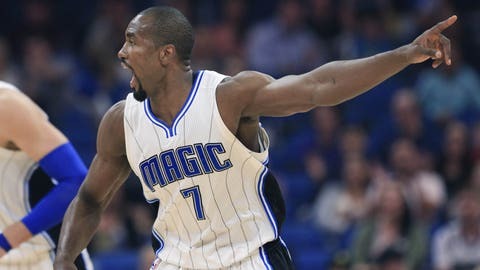 Ibaka is a terrific stretch 4 and the 38.5 percent he’s averaging from three-point range this season is a career high. But he was also brought in to help turn the Magic into an elite defensive team. The idea of playing him beside Bismack Biyombo evoked images of building a wall around the basket. Only it hasn’t worked out quite like that. In fact, Ibaka is posting a defensive plus-minus of 0.6 this season. That number is the lowest mark of his career. Beyond that, if you watch him game to game he does not influence the defensive end of the ball the way he did in Oklahoma. Ibaka’s game is about more than blocking and altering shots, but it is telling that he has regressed here, despite being a focal point for this team. This is not solely the fault of Ibaka, however; even with Vogel, Biyombo and Elfrid Payton, the Magic have the 22nd-best defensive rating in the league right now. Also worth considering is how the timing of Ibaka’s contract renewal and subsequently having him around for the long haul is not in line with where the Magic are at. They’ve already plunged considerable funds into Evan Fournier and Biyombo (the highest paid player on the team). In the coming years Orlando will have to pay Payton if they want to keep him, as well as Aaron Gordon. Nikola Vucevic already got his (admittedly extremely fair) deal a couple of years back. The salary cap has never been higher and only figures to continue going north. But you can’t pay everybody, especially as none of the above players look like sure fire superstars. 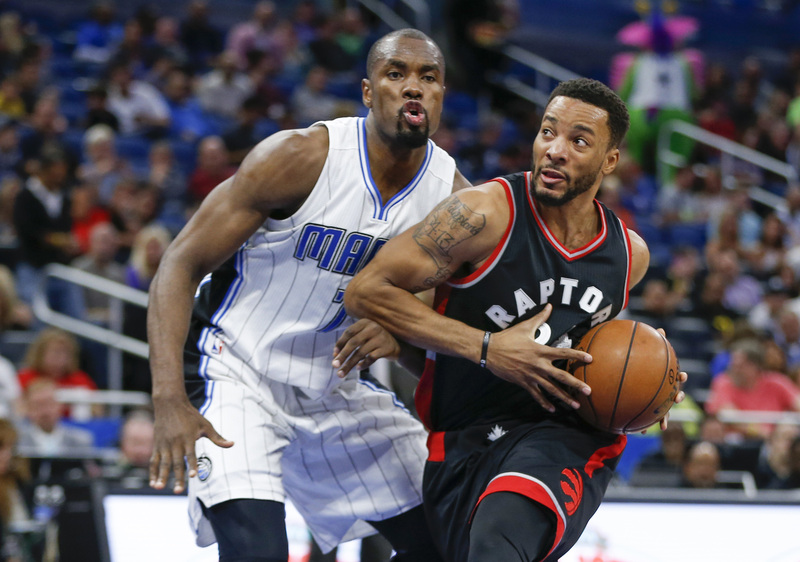 If you max out Ibaka, and with his Bird Rights, the Magic can offer him more money than anybody else, the ability to add another star player diminishes for a couple of reasons. There’s less money to go around, plus Ibaka has stated he wants to be the first option on a team. That’s all well and good and the Magic wish he could be that guy, but so far his play for the team has not reflected that. Moving him to a contender before the deadline makes sense, as the Magic can recoup some of the lost young talent they acquired to get him. 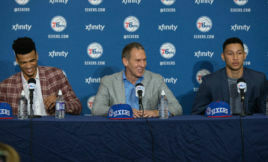 Pair that with the lottery pick they’ve likely got coming their way, and general manager Rob Hennigan has one last chance to prove he can build a winner from the ground up. Failure to do so would put a ceiling on how good this team can be in the coming years with the talent they have. At best, they’d max out as an Atlanta Hawks kind of team from half a decade ago. Playoff regulars, but not much noise beyond that. Serge Ibaka is a good, bordering on great, NBA player. On some nights he plays like that. But he just hasn’t been what the Orlando Magic have needed to return to relevancy once more. Many of his statistical numbers would appear to back up this belief. Moving him now so that the Magic can enter another, less drastic, rebuild is what this team needs to do to secure their future.